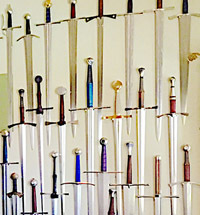 Valiant Armoury originally started out produced mainly functional medieval swords in the Philippines. A division of ProCut until 2006, the company was purchased by current owner Sonny Suttles after the death of Bob Miller, owner of ProCut. 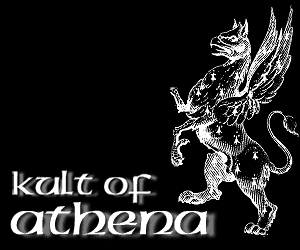 Now a stand-alone company, they changed direction – eliminating the old line up and creating new and very innovative partnerships with such giants of the sword industry as Angus Trim and Christian Fletcher. 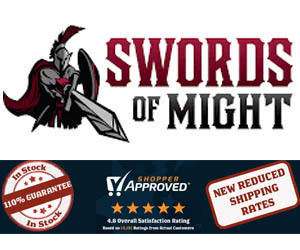 In 2018 they changed direction once again - while previously they exclusively imported blades and fittings from China and assembled them with custom leather scabbards, now they concentrate on making their own blades in house as well - which has reduced the available number of swords and also dramatically increased pricing. 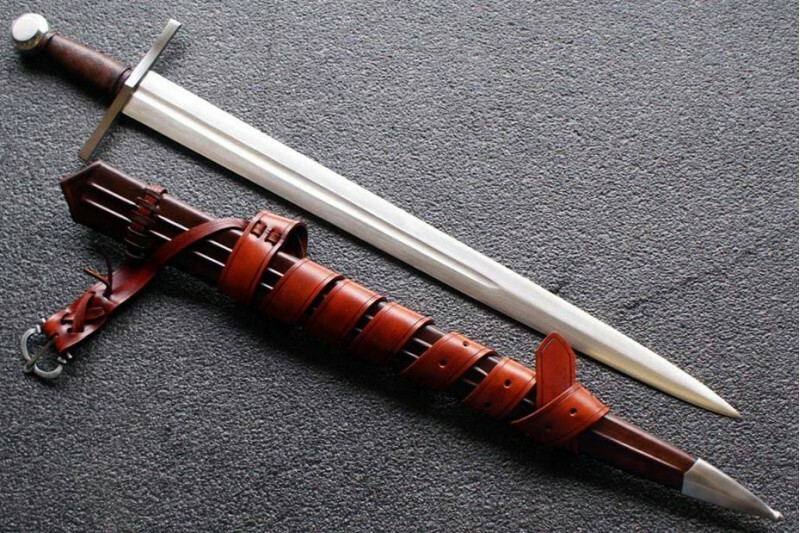 “Signature Series” Swords started as a collaboration between Valiant Armory, Angus Trim and Christian Fletcher – the swords were designed by Gus and Christian, made in China, and then assembled with custom leather scabbards in the USA by Sonny. This line was temporarily retired in early 2018 but despite lengthy production delays -was brought back a few months later. 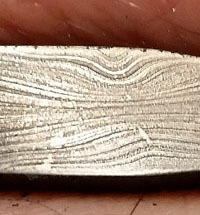 The craftsman series began in late 2017 and consists of 6150 Carbon Steel blades forged by Sonny and his Son Zach in the USA with numerous customization options. 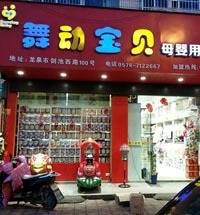 There are quite a few models listed in this line, but few are actually in stock and wait times can be significant. 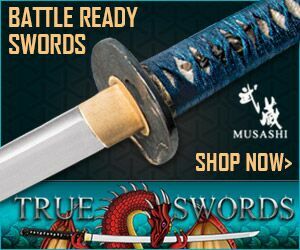 With their business in transition, and the new 6150 hand forged swords remaining untested and unproven, it is too early to say what issues may be present on their currently available sword lines. The biggest issue with Valiant generally has to do with the lack of availability and lengthy production delays - previously the lead time quoted on the Chinese imported swords in stock was 4-6 weeks for customization - however now the lead time is listed as 20-24 weeks. As the company seems to be continually struggling with its workload, issues with communication and rolling delays that drag on for many months are quite frequently reported (i.e. 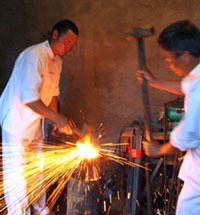 a customer is advised a sword is nearly ready many times, each time missing the continually extending deadline). The products themselves are generally well regarded and the quality of the leatherwork on the scabbards is head and shoulders above any of their competitors. 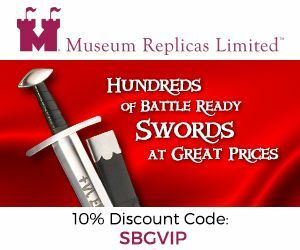 The blades of their Chinese made sword line are good quality, though perhaps not as good as the scabbards (it has been said of Valiant that you "buy a scabbard and get a free sword"!). 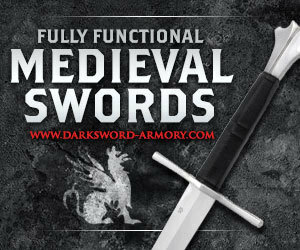 Swords with slightly loose fittings and minor rust from being set aside are not uncommon, as are minor component misalignment and asymmetrical finish that are frequently seen on entry level swords around the $300 price point. 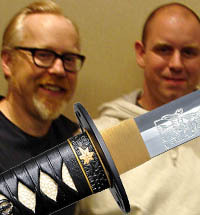 Former SBG Forum Global Moderator William Swiger sums up Valiant quite well: "What sells the VA line is the leather work on the grips and the scabbards. Really good value. 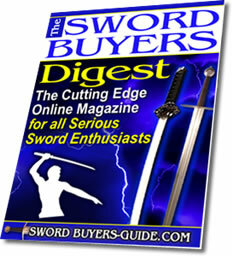 Blades to me are alright and some a little rough but the overall package for the price is good."